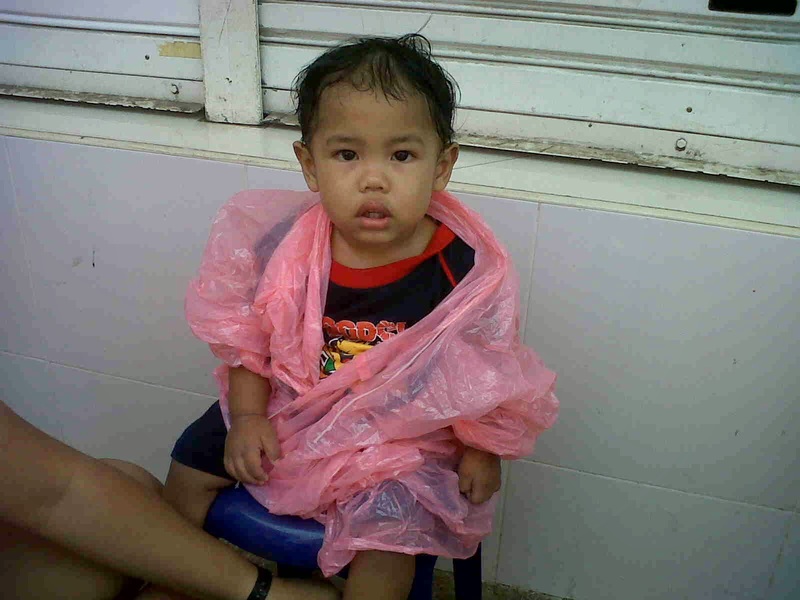 This is the second time Jaden experienced Songkran in Thailand. I think in his age right now, he really enjoy it since he can respond to the splashing of water on him. He's been keen to hold his water gun and shot the people he may meet. But take note... he will do shooting of water to the kids only. lol... Thinking that he's a kid so he must play water with the kids as well. I think it's an instinct on him though. What a fun to see our little boy enjoy the Thai new year celebration. He may not understand it yet but the fun he experienced is enough for him to treasure for us parents. He will definitely enjoy it more next year.... 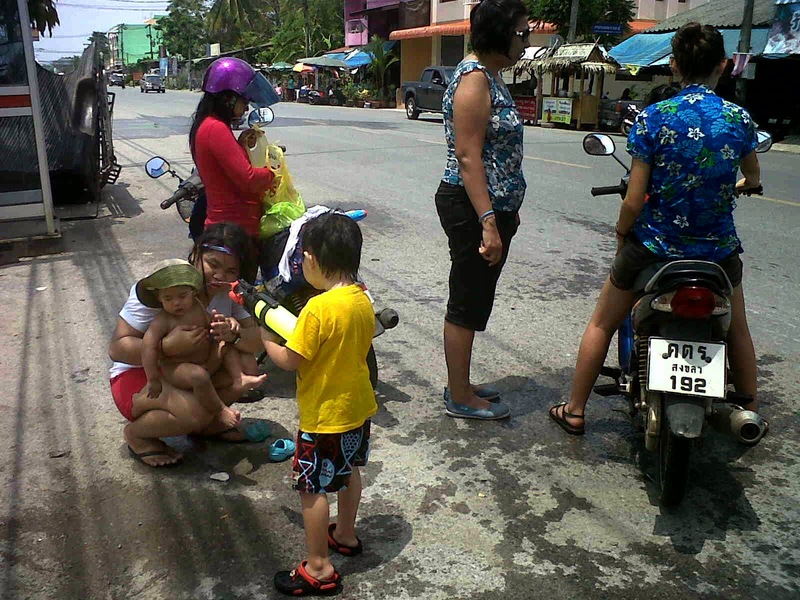 Riding on the motorbike around Hatyai as a family is so much fun too. 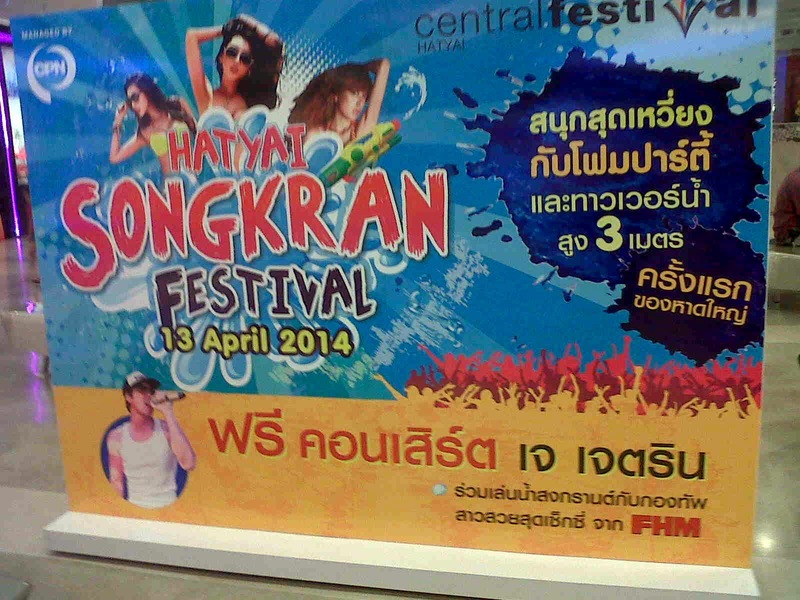 Caleb played Songkran as well.